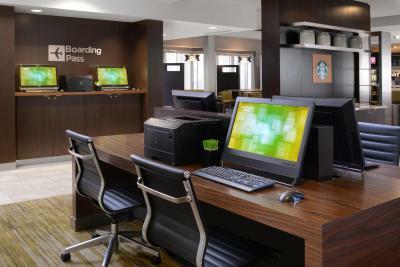 Lock in a great price for Courtyard by Marriott Boulder – rated 8.6 by recent guests! Staff were great, as was the food at the cafe (starbucks like). The room was very cozy and the bed was so comfortable. All the staff were friendly and helpful. My grandkids and I enjoyed the indoor pool. Overall, great stay. Lounge area was really nice. Love having Starbucks there. Also enjoyed the workout room. Very comfortable, clean and super friendly staff. Loved the lobby area with fireplace and couches - relaxed by the large screen TV and fireplace. I liked the entire stay to be precise. I was in the hotel for around 9 days & it did not feel like 9 days. Room & Bed was very nice & it helped me get relaxed after the work. I loved the tea/hot chocolate bar. My husband and I enjoyed it every morning and evening! Very quiet rooms. The staff at the hotel was very welcoming and went out of their way to answer any questions and be helpful. Just a few minutes to the main Pearl Street fun. Recently updated. Fresh. Clean. Wonderful restaurant/bar. Can I give it 6 stars please?!? Loved the bed and spaciousness of the rooms. Lovely staff and quiet! Defianantly would stay again. 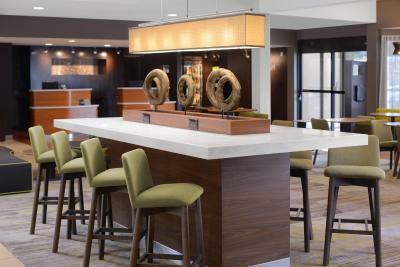 Courtyard by Marriott Boulder This rating is a reflection of how the property compares to the industry standard when it comes to price, facilities and services available. It's based on a self-evaluation by the property. Use this rating to help choose your stay! 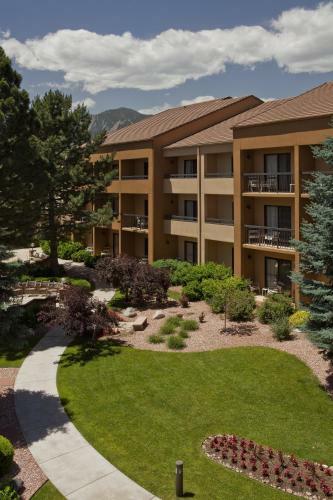 The Courtyard is off of Highway 70 in Boulder, and is 2 miles from the Flatirons Golf Course. It has an indoor pool and spacious rooms with LCD TV. 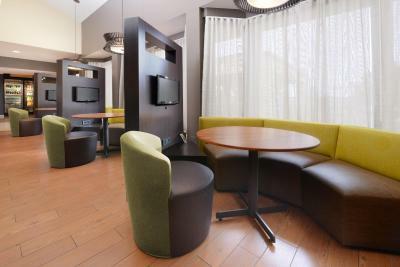 Rooms at the Courtyard by Marriott Boulder are air-conditioned and have balconies. 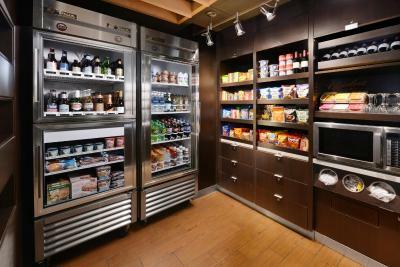 They come equipped with a coffee maker, minibar and free Wi-Fi. 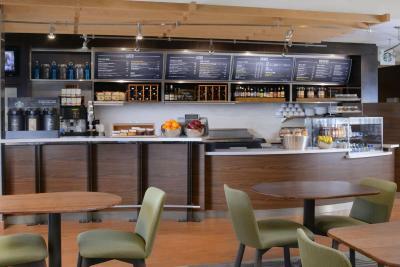 The Courtyard Bistro serves Starbucks coffee and breakfast and dinner. Guests can relax in the whirlpool, or play a game of chess. The Marriott Boulder also has a fitness center. The University of Colorado at Boulder is less than 2 miles from the Courtyard by Marriott Boulder. The Gourmet School of the Rockies is an 11-minute drive away. 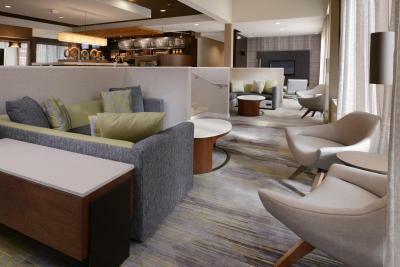 When would you like to stay at Courtyard by Marriott Boulder? A flat-screen cable TV and a sofa bed are featured in this room. A small fridge and coffee-making facilities are also included. This room has a flat-screen cable TV, a small fridge and coffee-making facilities. Take in the sweeping mountain vistas surrounding our Boulder hotel and enjoy breakfast and dinner at The Bistro as well as well-appointed guest rooms. Courtyard Boulder also features an indoor pool and two versatile meeting spaces. 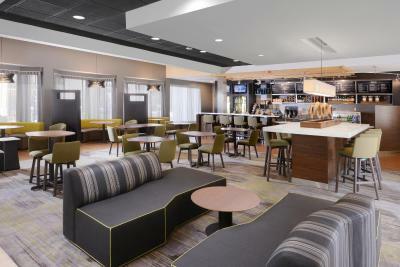 House Rules Courtyard by Marriott Boulder takes special requests – add in the next step! Courtyard by Marriott Boulder accepts these cards and reserves the right to temporarily hold an amount prior to arrival. Please note that dinner and bar service will not be available from 23 November 2017 to 03 December 2017. Please note that dinner and bar service will not be available from 22 December 2017 to 02 January 2018. Rooms are small and feel dated. 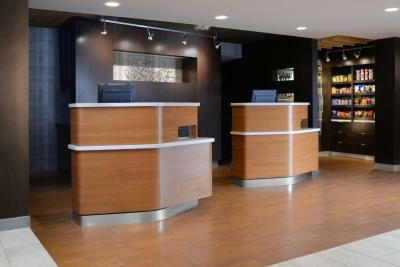 Better value and amenities at competitors. The room smelled a little funky, like prior smoking, and I was given a room close to elevator and ice bin which turned out to be annoying in several respects. I should have asked for a different room, but didn't want to have to move given my short stay. The property is a decent location, but across the highway from the Pearl street happenings and so a little isolated. I thought the drinks were way to expense for one glass of wine. I won't buy my drinks from there. $8.00 is a normal price, but $14 for one 6 oz was a bit much. The bed was extremely comfy!!!!!!!! staff are super helpful. friendly too. Pool and spa should be cleaner. Lots of scum along the wall edge. Nothing specific May be more variety of food. Really spacious comfortable room with two queen beds. Choice of breakfasts was good and Calvin the Restaurant Manager was excellent. He welcomes all of the guests, very friendly and keen to ensure we had a pleasant stay.